Curious about the two garments from 2006? They are a chevron striped tank top and a seamed flared black skirt, bought at consignment stores for $3 and $16, respectively. Even when I factor in the minor alteration fees for these items, their cost per wear is likely pennies! Why So Many “Old” Pieces When I Shop So Much? Many people would say “So what?” about the numbers above, as it’s natural for them to hold on to their clothes for years on end. But you have to remember that I’m a compulsive shopper who has bought somewhere in the neighborhood of 200 new items per year for as long as I can remember. Since I shop so much, wouldn’t you think that most of my 33 items would be from the past year or two? Why would so many of my favorite clothes be from 2006-2010 when a plethora of new items were added to the mix in the past two years? Intrigued, I decided to dig a bit deeper and examine my 2012 “wardrobe all-stars” (garments worn 8 or more times per year – see this post for more information). Not surprisingly, I unearthed similar findings. A full 56% of these key closet pieces were purchased in or before 2010 (and 85% during or prior to 2011). What do my Project 333 and “wardrobe all-star” figures reveal about my wardrobe and shopping habits? After thinking about this for a few days, I’ve reached some powerful conclusions which might also be meaningful to you. Many of the purchases I make are for the wrong reasons! Those items either end up being returned, languish in my closet as “wardrobe benchwarmers,” or wind up at a local consignment store or charity shop. Sale purchases bought without a prior need for the item are not generally “good buys” in the long run. While some misguided purchases can be returned, clearance items and garments bought at thrift and consignment stores are often final sale. Unless you love a current trend, it’s usually best to sit it out. I’ve frequently bought things that didn’t fit my personal style just because they were “in.” These pieces are often worn once or twice and then gather dust in my closet. Such was the case with skinny jeans. They may look good, but I find them very uncomfortable and feel they accentuate the size of my hips and thighs. Even if my lower half isn’t as large as I think it is, I didn’t wear those skinny jeans because I never really liked them. More money wasted! We often buy things because we might need them at some point. Case in point, the business clothes in my closet. I don’t have a need for such pieces, as my life is quite casual and I live in an area of the country where people rarely dress up. While it’s possible I may need a few such items for a higher-end business meeting or job interview at some point, I certainly don’t need the twenty or so business garments in my closet! I often see beautiful dresses and shoes that are perfect for a night out on the town. The problem is that my nights out on the town are few and far between. When I actually do go out, the events are generally casual and don’t call for a cocktail dress or stiletto heels. If I buy such items, however beautiful they may be, they are rarely worn. I need to face the fact that I reside in San Diego, not New York City, and I live a simple lifestyle which doesn’t include many parties or upscale events. Also problematic are the clothes that will only fit us five or ten pounds from now. Unfortunately, we often don’t really lose those five to ten pounds! Then the clothes just sit there taunting us (actually, we taunt ourselves…) for our lack of willpower and resolve. In any event, they aren’t being worn unless we want to “triple-Spanx” or shoehorn ourselves into them and suffer all day. No thanks! I could go on and on about the wrong reasons for buying things. Heaven knows I’ve made a ton of purchasing mistakes! But it’s probably more productive to look at what does work in our wardrobes. Why have some of our closet pieces stood the test of time? What is it about those 20 garments from 2006-2010 that had earn spots in my Project 333 capsule? Shoes I can walk in! Stick with the Tried and True! What I’ve learned is that regardless of how much I shop, I’ll continue to wear my favorite pieces into the ground, even if I bought them as long ago as 2006. I’m not overly concerned with trends and tend to dress in classic items, so if I like it, I wear it. As long as I stick with the “tried and true” when shopping (the list above), I do okay. If I let the “shiny and new” sway me from my personal style course, that’s when I get into trouble. Go to your closet and look at your favorite wardrobe pieces, the items you wear over and over again. Jot down the common elements of these garments. What makes you reach for them time after time? Do the same for the things that just sit in your closet collecting dust. What is it about those pieces that has you pass them over when getting dressed? When you shop, aim to purchase items with similar characteristics as your tried and true wardrobe workhorses. If you buy things that reflect your personal style preferences, you’ll be much more likely to wear them. If you choose to veer off-course to sample new trends, tread lightly. Just buy a piece or two of the “shiny and new.” See how often you wear the new garments before adding any more to your closet. This entry was posted in Behavior & Psychology, Project 333, Purchase Reviews, Shopping Tips. Bookmark the permalink. Wow Debbie-this project is really delving deep for you ( in a great way). The conclusions are bang-on as these are the same I arrived at when reviewing my clothing purchases and the whys (the lure of the sale was my biggest downfall-sometimes the item worked but mostly it did not and so now I have a few truths that must be present before I buy: is it on my list of needs/I keep a list of what I actually need in the color family and a wish list & the 2nd is would I buy this if it wasn’t on sale). I also was able to refine what my wardrobe all stars must be for me and very interesting-the list is almost the same as what you found:casual but comfortable,classic,etc and it was here the change in what I bought was most profound-no more buying those items that did not fit in and actually when examined were for a life I do not lead nor ever will ( high heels, trendies,etc). Now I have 6 neutral color capsules of basics( with about 5 to 6 items in each to round out with the odd color here and there(a red coat,a emerald green sweater,etc to punch the neutrals up) and tons of scarves for the pops of colors. As to shoes, I have a shoe rack that holds exactly 22 prs of shoes and that is exactly amount that is permitted to be in the closet (my passion is flats in all great colors)-if a new pair is coveted then another off that rack has to go and so far there haven’t been any contenders in the last few years. All in all this system of neutral capsules and the shoes works amazingly in that I have what I like to wear and do not feel tempted when out to buy something I see unless on the list. ABgurl, Sounds like you are doing great with managing your wardrobe! I like your purchase rules and the way you’ve organized your wardrobe into capsules. The shoe rack rule is especially good, as it is absolute. I think that 22 pairs of shoes is plenty! I still have close to 50 pairs, but not long ago, I looked at how many are worn regularly and it was only half. I plan to continue to pare down and perhaps will set an absolute number and then do “one in, one out” like you do. That’s always a good way to do things, with clothes, shoes, and household items. Thank you for sharing your wisdom and what has worked for you with me and my readers! You gave some very valuable tips and I appreciate them. Oh, Debbie I am experiencing the same thing through the winnowing of my spring/summer wardrobe! Every garment has a memory of a time in my life, or an event, or how I acquired it. Many of my items are from around 2006 onward. If you have an eye for less trend-driven styles, then the pieces don’t look dated so quickly. In response to your clothing timeline, I also found a few pieces in my wardrobe that defied longevity, so I wanted share about them! Both items are black. One is a 24 year old knit trapeze dress and the other is a 27 year old Skyr cashmere/silk turtleneck–both are still going strong, in fact they don’t even look like they have been worn very much. The funny thing is I got both items at a consignment store in the first place! I wore the Skyr for 22 winters, then I gained some weight, gave it to a smaller friend who wore it for 5 years, and she gave it back to me because she is doing Project 333 also, and it does not fit into her winter capsule. It still looks the same as when I first got it! The trapeze dress is a summer staple, and the swingy shape helps my top half look more proportional. I have come to realize that when I buy new clothes, I am usually not moved to wear them right away. I have to get used to them first. In some cases, I also purchase for a “what if” situation that never happens, because like you, my life style is generally casual and people just don’t get dressed up for much of anything anymore. 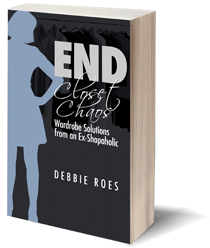 Deborah, Thanks for sharing your perspective on “tried and true” wardrobe items. I’m impressed that you have pieces in your wardrobe that are over 20 years old! I’m not even sure if I have anything that is over 10 years old, but my style has changed a lot in recent years. I think I will hold on to things longer moving forward, especially as I am now aiming more for quality over quantity. I met up with a friend recently and complemented the lovely black tunic she was wearing. I thought it was new, but she told me it was over 20 years old! With classic shapes and especially black pieces, longevity is really possible. Like you, I often wait a while before wearing new clothes (and shoes and accessories). I try to keep to the rule of returning things if I haven’t worn them within a month, but that is not hard and fast. Some new things get worn right away, but it’s usually a few weeks. I just wore a pair of new shoes today. I had to decide for sure that I would keep them and I was very happy with them when I was out and about. It’s too bad that people don’t get dressed up much anymore, as I rather like to get dressed up. Even with my rather casual outfits (you’ve seen the past few weeks), I STILL get asked why I’m so dressed up. San Diego is ultra-casual. Sometimes I miss the SF Bay Area (where I’m from), as dressing up was more common there. This is quite a lot of food for thought, and even though I do not consider myself a volume shopper, I have had my share of wrong decisions hanging in my closet. 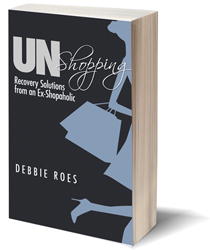 Most of my mistakes came from shopping for an imaginary lifestyle (yes, I shopped in a Donna Karan pantsuit with three little boys in tow…) or buying the ‘great deal’ that, as you point out, rarely is that. After ruthlessly cleaning out my closet last fall and keeping only what I like, wear, and feel good in, my amount of wearables shrank by about half. It was a bit nerve racking at first, but I found out that my favorite workhorses came through again! Since going back to work a few months ago, I was able to make my existing wardrobe work by adding scarves so that I do not look the same day in and out. Debbie, my favourite garments echo yours, but with emphasis on earthtones and fewer prints (hence the scarves). And as far as cost per wear, my most expensive basics are by Eileen Fisher, and I have worn them countless time. Easily less expensive than the purchase price would suggest. My hat’s off to you and your analytical mind. There is a lot to be learned here. Cornelia, It sounds as if you are in a good place regarding your wardrobe. Project 333 is teaching me that I don’t need nearly as many clothes as I previously thought. Scarves really can help to change up looks, which is a big reason I love them so much. It’s great that you didn’t need to buy a bunch of new clothes when you went back to work. Thanks for your complement on my analytical mind 🙂 I have more! I did additional analysis when preparing for the “tried and true” post and will share more soon. Tracking and doing analysis has taught me a great deal and I’m glad it’s benefiting others, too. Wow. What an honest post… and it makes me think of my own closet… I am in the middle of upgrading my style from jeans and hand-decorated t-shirts to a more mature, professional look — so I’m not wearing a lot of my older stuff… by the same token, not all the newer stuff is a good match… I, too, suffer from wishful lifestyle thinking… dinner parties? Really? NOT. I do not need a LBD and I can’t wear the heels to go with b/c they hurt my feet… I also tend to suffer from the thinking if one is good, then 2 is better — esp. if they fit and are on sale…. the second usually ends up being a color that I don’t like as much as the first and I end up giving the 2nd away to Goodwill after a few months… I’m definitely going to give my closet the critical eye this week-end! Natasha, Thanks for sharing your perspective. Wishful lifestyle buys are very common and I find them with every closet audit I do for a client. I think that’s a big part of why consignment and thrift stores have so many items with tags still attached or in perfect condition. It’s good that you’re learning what you do and don’t need. Buying multiples can be okay with staples like t-shirts, but it’s always important to look at whether you really need and will wear all of the pieces. Often stores will try to entice with discounts on the second item, but it’s only a deal if you wear it! I’m recovering from overshopping too and one of the best shopping rules I know is “Will I wear it today?” If the answer is no, don’t buy it. Odds that you will ever wear it are small to start with. Debbie all of your posts are stellar but this is one of the best yet – thanks for being so thoughtful. Never buying another multiple is one of my main goals this year. FrugalFashionista, Thank you for commenting! I’m glad you like my blog and enjoyed this post. I like your rule of asking “Will I wear it today?” That’s a good one! It’s always better to buy things we can’t wait to wear rather than just “okay.” I know that I plan to buy “10s” as much as possible moving forward. Aiming for quality over quantity will help as well, as I never used to do that… Avoiding multiples is helpful, too, in most cases. Sounds like you are on the right track! I had a think about the pieces in my wardrobe that I still wear despite their age and found that most are black! I still have a black Laura Ashley dress that is 23 years old, a ten year old black shrug style cardigan and a pair of linen cream summer trousers that I have had for 15 years! I’m trying to work out what has actually been value for money for me and what has been a waste, then at least if I am spending, I am spending wiser! Mrs. Madrigal, Thanks for your comment and for sharing about your wardrobe workhorses. Amazing that you’ve had some of your closet pieces for 15 or more years! I hope to get there at one point, but I need to really work on the quality over quantity part of the equation. Your story inspires me and I hope to be able to report something similar down the line. I’m from Redding, CA (far north) where fashion trends are ridiculous! I love my wardrobe right now, I have lots of things that I can keep for years, but I wish you lived up here, I need a closet evaluation. I’m really enjoying catching up on all of your archived posts. I’m more of a shopaholic who just likes to spend money. Yes, I love clothing too though! Your blog is helping me get my spending habits under control and understand the WHY behind my habit. Hi Daphne, I know where Redding is (I’m from the SF Bay Area) but I’ve never been there. I’m glad you love your wardrobe. That’s not an easy task… I think most people could benefit from a closet evaluation. I had two myself before I got into the wardrobe consulting business. Even now, I have my blind spots that could use an outside expert eye (e.g. the nine black skirts…). I’m glad my blog is helping you! Many shopaholics over-shop in areas other than clothing. For me, it’s just clothing and accessories, but with the amount I’ve spent on those things, I’m glad my shopping is only concentrated in those areas. I wish you continued awareness and improvement with your shopping! Please comment again and let me know how you’re doing. Great graphs, the visuals are very powerful. When I’ve looked at the items I purge, I often see the same theme again and again. I can usually recall exactly how I was feeling the day I purchased a specific item. Items that I was looking to give me a ‘pick me up’ either to cheer up from a bad day, or the celebrate from a good day, rarely remain in my wardrobe long term. Such a good point, Lisa! I think the “pick me up” pieces are some of my biggest mistakes, too. I’m getting better at finding other ways to pick myself up, but it’s still challenging. I’m also more able to leave stores empty-handed these days, whereas I used to pretty much always leave a store with a bag in my hands. 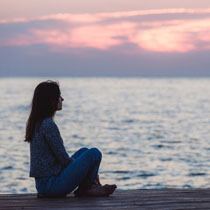 “Retail therapy” rarely works… It may help us to feel better momentarily, but I know that when I shop for emotional reasons, I don’t make the best choices!